Every year, WWE does a little house cleaning and releases some of their contracted talent. It's a necessary evil for any business in sports or entertainment. If someone isn't performing to the level they were hired for, then they've got to go. Last year was an unusually kind one to the roster, with Matt Striker being the only notable name being dismissed. Now in 2014, the time of reckoning may soon be near. Big changes are on the way. With the WWE Network and WrestleMania 30 on the horizon, we may see some dead weight being dropped in the near future. There's also too many talented wrestlers in NXT to keep held back in developmental for much longer, and a call-up to the main roster means they're going to take someone else's spot. So who on the current roster may not make it into 2015 with a WWE contract? That's what we're here to predict. Whether it's due to age, creative having nothing for them or a complete failure to get over, some people have just got to go. Here are the 10 most likely wrestlers to be released before the year is out. Nobody said life was fair, and that definitely goes for professional wrestling too. Tyson Kidd may be a great in-ring talent, but WWE hasn't done anything interesting with him in years. In 2012, he was one-half of an incredibly talented tag team with Justin Gabriel, but they were mainly showcased as a couple of high-flying jobbers. Then, he was out with an injury for nearly an entire year. When he returned, it could have been a fresh start for him. Instead, he came back to battle Fandango in short-lived, forgettable mid-card battle. That was over two months ago, and he hasn't been seen on one of the major shows since. What may be a sign of bad things to come for Kidd is that the company seems to think they already have enough smaller guys who can wrestle. With Adrian Neville and Sami Zayn tearing it up in NXT, it may only be a matter of time before they get called up to the main roster. And when that happens, Tyson may be replaced with a newer model. 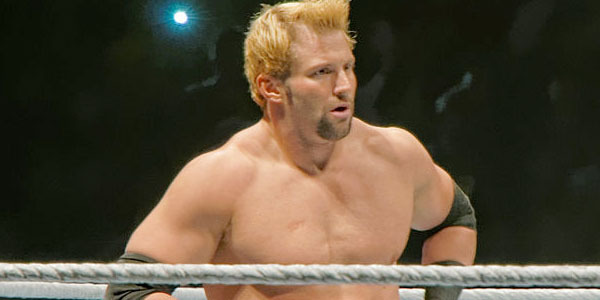 While he has appeared a few times with his wife Natalya on the WWE/E! Network love child Total Divas, that may not be enough to help him continue his employment. Kidd has been on the main roster for nearly five years, but he's starting to seem dangerously close to needing to find a new line of work.